The problems with the lost data is almost resolved, nearly all addresses refound. 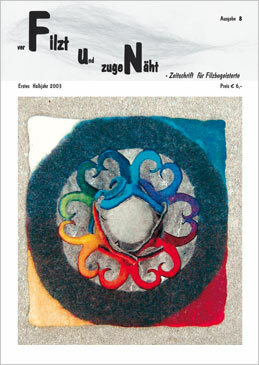 This issue offers a versatile mixture as usual: In the »Sheep Gallery« we find worth knowing stuff about the Puszta sheep, Renate Maile-Moskowitz designs a felted ram horn mandala. We get to know the young felt artist Annette Quentin-Stoll and learn how sheep can act as therapists.